Capture brag-worthy footage from your point of view. 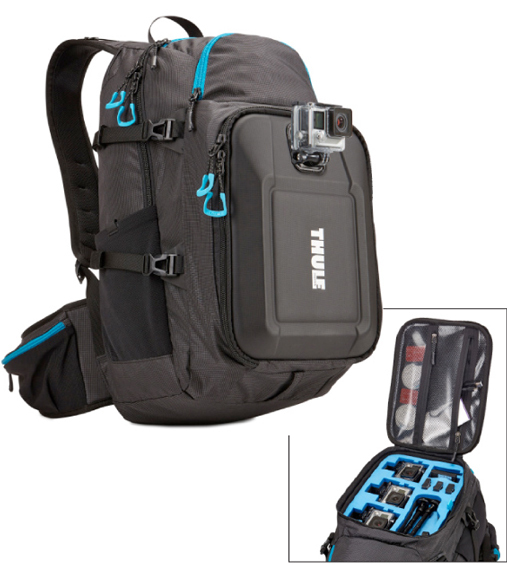 Developed for all adrenaline lovers, the Thule Legend GoPro backpack is ideal to take your GoPro gear on all your adventures. The crushproof EVA shell provides ultimate protection for all your hardware and the removable rinsable foam insert neatly stores your gear in a secure environment. This unique backpack also features integrated front and rear GoPro mounts!